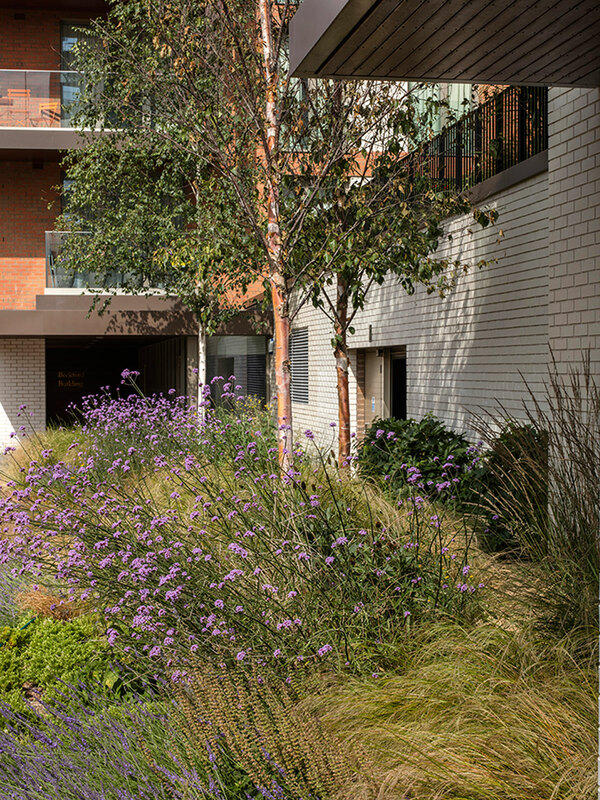 West Hampstead Square is situated on a challenging site between rail lines. Our design concept is based on two contrasting environments, an urban square and a green oasis. 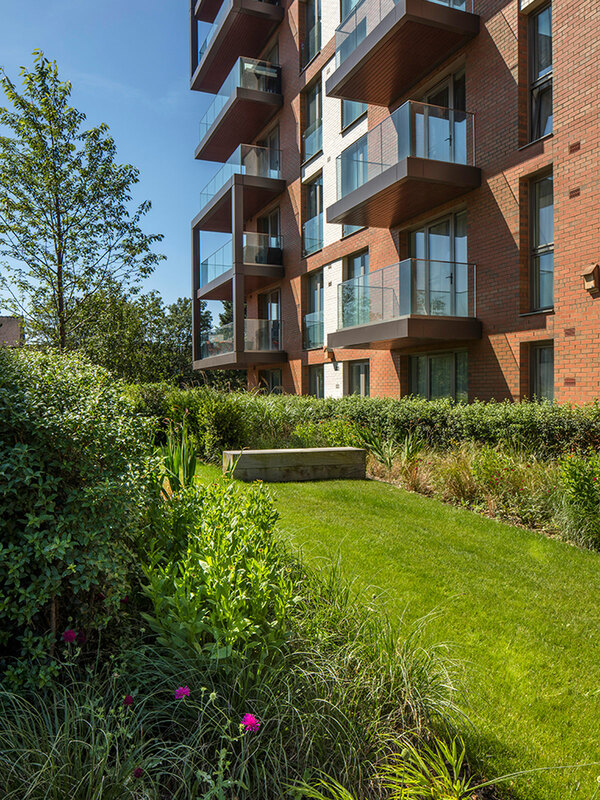 The main development is conceived as a parkland landscape, connecting residents with nature and providing valuable amenity space. 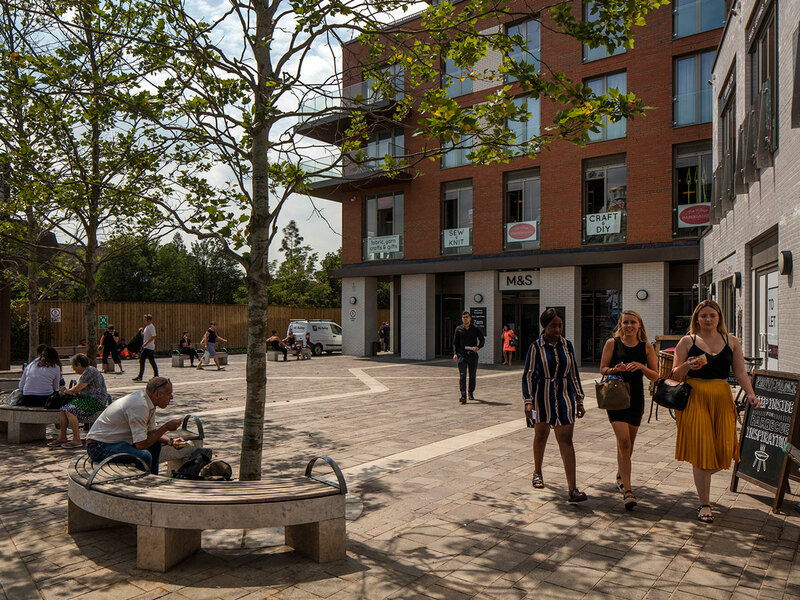 The square will be a busy local hub, and future London Overground entrance, creating a new destination space for West Hampstead. 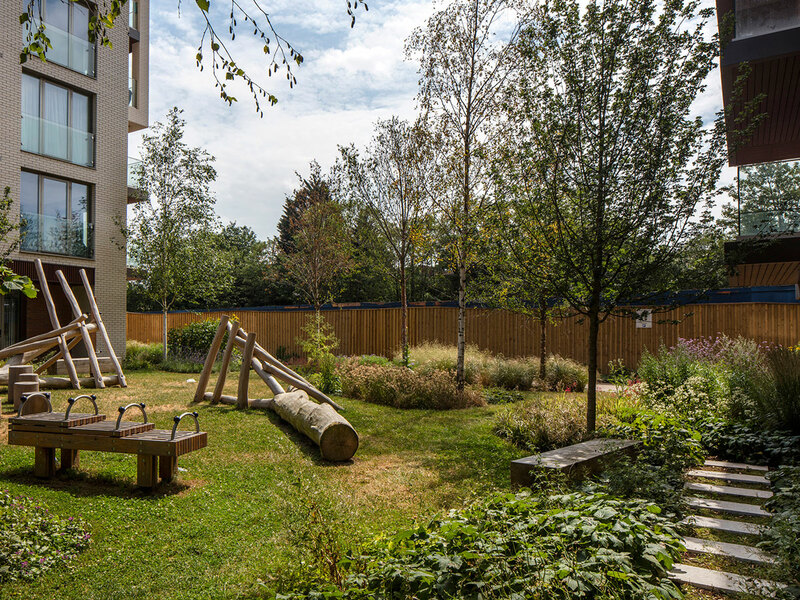 Our design delivers a simple, robust and sustainable environment with a variety of areas including a protected wildlife garden, community growing area, woodland play gardens, podium gardens and new town square. Distinctive features include a 6m high ‘insect hotel’ as part of the SNCI (Site of Nature Conservation Interest) enhancement, and a clock tower in the new town square.